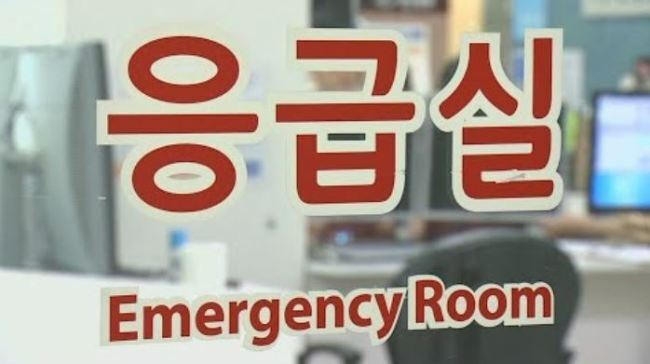 The Incheon Michuholl Police Station said Tuesday that it had booked two people accused of threatening nurses and assaulting doctors at hospital emergency rooms. One man, 48, was booked without detention Sunday for allegedly threatening to kill a nurse. Police said the man had requested an injection to relieve joint pain at a hospital emergency room in Michuhol, Incheon, and lashed out when the nurse asked him to wait. He continued to make threats for about 10 minutes, police said. Also on Sunday, police said a woman, 53, slapped a doctor for not attending to her quickly enough at an emergency room in Bupyeong, Incheon. Police booked her without detention on charges of violating the emergency medical service law. Reports of verbal and physical abuse of medical workers have increased over the past three years. According to data from the Ministry of Health and Welfare, police received 893 reports or complaints concerning the disruption of emergency medical services last year, up 55 percent from 2016. In the first six months of the year, police received 582 reports or complaints alleging verbal or physical abuse against emergency medical workers.